Our ultimate desire is to enrich the lives of our customers by making it easier for them to be mobile. 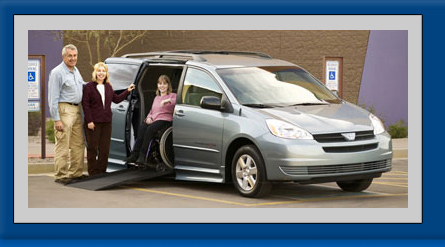 With our expertise, we can help you select the best vehicle and mobility equipment to satisfy your needs. Many different mobility products exist to meet almost any need. If a solution doesn't exist, we may be able to find a creative solution. Regular maintenance of your mobility equipment will ensure that it works properly. Contact us to schedule a service appointment. We want our customers to receive the highest degree of safety and value. Therefore, we are registered with the NHTSA and the NMEDA.